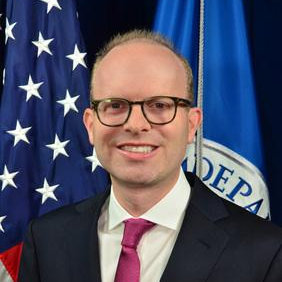 As Deputy Administrator for Resilience, Dr. Daniel Kaniewski leads FEMA's insurance, mitigation, preparedness, continuity, and grant programs. He was unanimously confirmed by the U.S. Senate on September 14, 2017 and is currently FEMA's second ranking official. Prior to joining FEMA, Dr. Kaniewski was Vice President for Global Resilience at AIR Worldwide, a catastrophe risk modeling and consulting services firm. He was also a Senior Fellow at the Center for Cyber & Homeland Security, where he contributed thought leadership on homeland security and emergency management topics. Earlier, Dr. Kaniewski served as the Mission Area Director for Resilience and Emergency Preparedness/Response at a federally funded research and development center supporting the U.S. Department of Homeland Security. Dr. Kaniewski was also Vice President for Homeland Security and Deputy Director of the Homeland Security Policy Institute at the George Washington University. In the George W. Bush Administration, he served as Special Assistant to the President for Homeland Security and as Senior Director for Response Policy. Dr. Kaniewski has also held positions at FEMA, the Congressional Fire Services Institute, and on Capitol Hill. He was previously a member of the District of Columbia Homeland Security Commission and a term member at the Council on Foreign Relations. Dr. Kaniewski holds a Bachelor of Science degree in Emergency Medical Services from George Washington University, a Master of Arts degree in National Security Studies from the Georgetown University School of Foreign Service, and a Ph.D. in Public Policy and Administration from George Washington University.